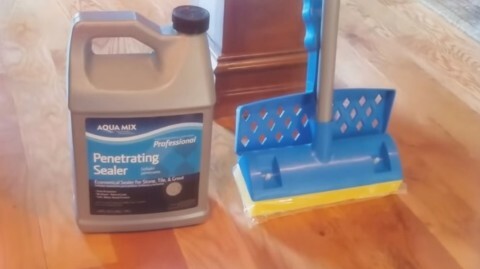 Absolute Best Way to Clean any Type of Tile Flooring: Don't use Vinegar or Bleach! First A Quick Note of Caution: Vinegar and bleach are commonly used on porcelain or ceramic tile for the removal of stubborn mold and mildew stains and works great but for heavy soil grout lines a high alkaline cleaner works best. Also, beware if you use bleach or vinegar on a natural stone tile it will permanently etch and dull the stone so never use bleach or vinegar on a natural stone such as marble, travertine, or terrazzo. Use a High Alkaline Tile and Grout Cleaning product. Mix your high alkaline cleaner according to the directions on the bottle (usually 2-3 oz. per gallon) then apply with a pump up sprayer or mop on liberally, allow a dwell time of 5 minutes. A high alkaline cleaner will get even black heavily soiled tile and grout lines looking like new again, it will absolutely amaze you! High alkaline cleaners are safe for both Ceramic and natural stones. There are a lot of good products out there and by checking the pH rating of those products will help you purchase a good one. For heavy soiled tile a pH of 9 or above will get great results. One of my favorites is Pro's Choice Heavy Duty Pro-Clean. I have personally used this product for years, it has a pH of 12 and is safe for any type of tile flooring both ceramic or natural stone. Why use high alkaline? The higher the alkaline, the stronger the cleaning ability. Next, agitate the tiled areas with a scrub brush or floor machine. Home Depot or an equipment rental store carries floor machines you can rent along with a brush attachment for tile and grout. This is a great inexpensive investment to make your job easier. This type of brush will last for years and saves you from bending over on your hands and knees with a scrub brush; they are a real back saver! 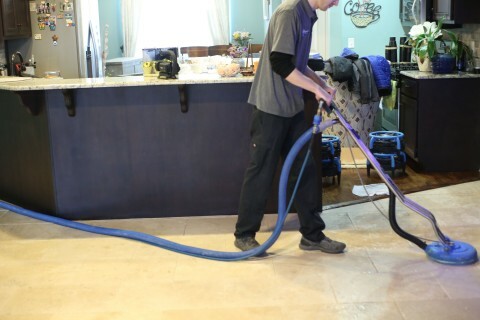 To remove the soil and cleaning solution, we use a truck mounted steam system with a spinner tool but you can also use a wet/dry vac, mop, or sponge when doing it yourself. 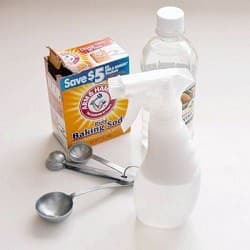 Please keep in mind that removing the soil and cleaning agent can be difficult if it dries, so only work on small areas at a time to keep the solution from drying before you have a chance to get it up. 4. Rinse area thoroughly with water. Repeat the rinsing process several times using a mop or other type of extraction process; you will want to get all of the soil and cleaning product off the flooring. 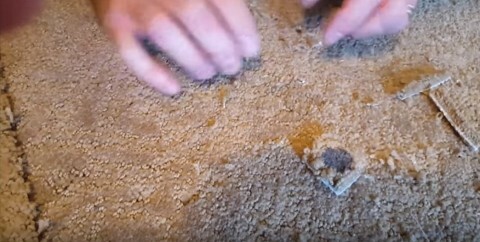 Once this is done, allow the tile to dry. 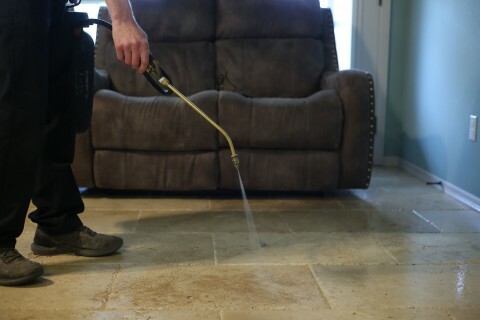 After cleaning your tile, apply a grout sealer for ceramic tile or a penetrating sealer for natural stone tile. Purchase a premium tile sealer and follow instructions on the back of the bottle, pretty easy to do. For routine cleaning & maintenance use a neutral tile cleaner with a pH of 7. 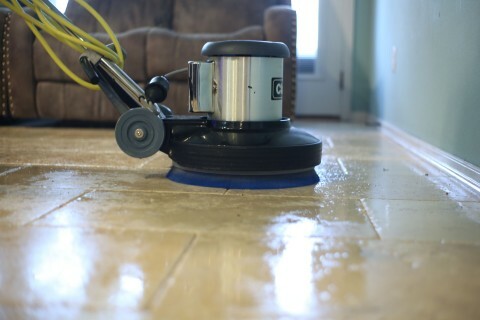 This will keep your tile looking its best and will not harm the tile sealer you have applied. Mix the neutral cleaner according to instructions (usually 1-2 ounces to a gallon) mop on and rinse off with a clean damp mop. To keep your tile looking great I recommend a routine cleaning at least 1-3 times a week. If you have any questions before starting your tile cleaning project feel free to give us a call and be sure to leave us your comments below on the results you achieved using our suggestions. We so look forward to hearing from you! 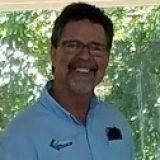 Carpet Renovations, Inc. | Tile Cleaning Service | (918) 437-1956 | Serving The Tulsa Area Since 1986! The first thing you will want to do is find yourself a good quality Ultra Violet Light. We recommend an easy to use UV flashlight, these are readily available online and my favorite thing is; no cumbersome cords to deal with. Once you have obtained your UV light, turn off the lights and comb your home while marking each pet stain you find with a sticky note or something else such as blue painters tape, this way you can return to work on the spots one by one later. Next thing is HOW to treat and sanitize these stains? Otherwise you’ll just see repeat offences in the very same spot if not eliminated correctly. Frustratingly for you, cats/dogs will continue to return to the “accident area” as long as they can smell their personal scent, even if you can’t smell a thing, they sure can. So, you must neutralize that odor, and failing to do so will render your re-training efforts useless. 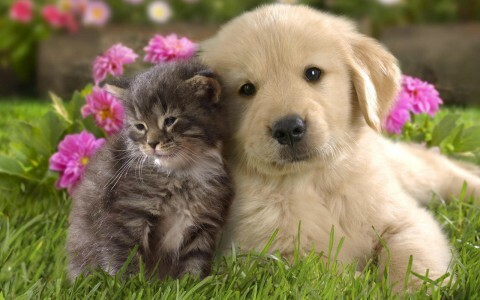 Cat/dog urine contains ammonia and proteins which bacteria will grow on. This is what causes the strong smell and the “attractive” scent to dogs/cats. Even if the stain has dried some time ago the smell will still linger but also serve to attract cats/dogs back. Following these tips will help you break this cycle and this little eco-system. It’s also worth noting that cleaning the area “thoroughly” using conventional methods like soap/detergent and water is usually not enough to remove traces of scent which although undetected by us, is certainly not by cats/dogs. This makes treating the stain to the point where you’re eliminating the traces of scent all the more critical. Remember, you can use these methods on BOTH wet and dry urine. Wet urine is fairly easy to spot, and remember that it won’t react to UV light. 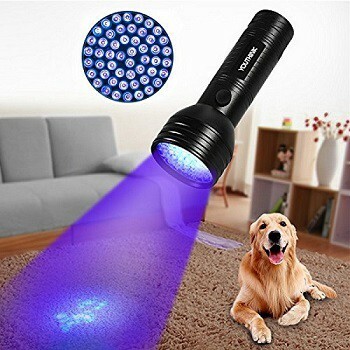 Dry urine on the other hand is almost invisible, and that’s where the UV flashlight comes into its own. In fact, it’s these dry stains that are usually the root cause to your particular problems. No matter how long they’ve been there for, a UV Light will show you each and every (dry) stain – new, old, or ancient. Add 4 tablespoons of baking soda – it will fizz by the way! If the stain or odor persist you will want to repeat these steps. And let us know how this worked for you. Also if you have any other tips or tricks on removing pet urine stains and odors please share with everyone in the comment section below! No relationship we humans have is quite like the attachment we form with our family pets and as much as we care for our wonderful friends there is no greater challenge than dealing with the messes they often leave behind. 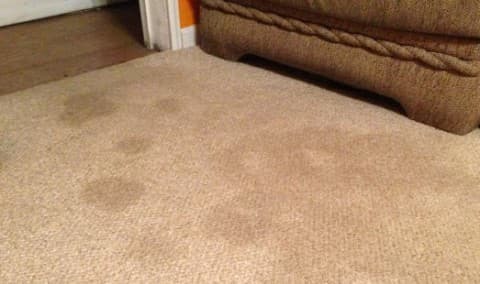 Most likely you have reached this post after contacting our office to schedule a carpet cleaning or have landed on this page as a result of a web search on this topic. 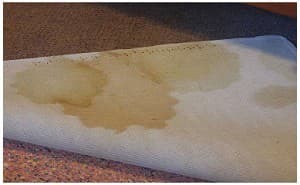 It is for this reason this article has been written; to provide accurate information relating to professional carpet cleaning when dealing with pet urine contamination in carpet. 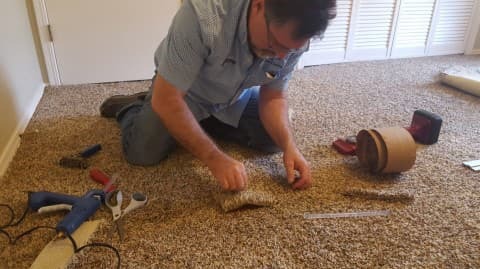 The results achieved from a professional carpet cleaning will vary from case to case depending upon the amount of pet urine in the carpet and to what extent it has penetrated into the carpet backing, pad, or sub flooring. 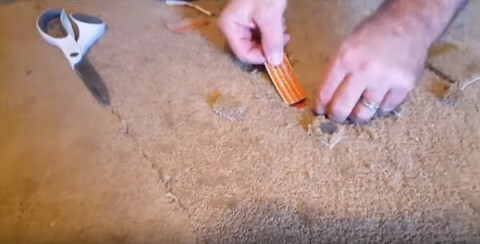 Pet urine can be flushed out of carpet fibers relatively easy using the right products & equipment, yet it is the contamination trapped on the underside of the carpet that can cause the biggest problems. Over our 30+ years of serving the Tulsa / Broken Arrow and surrounding communities, it has been our continual pursuit to develop & provide the most thorough carpet cleaning for pet odors available. 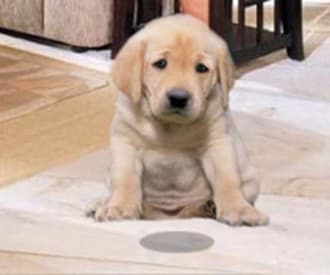 With this experience, we have found the best approach to rid carpet of ugly pet stains and persistent odors is with our 5 step deep steam cleaning process utilizing a UV Inspection tool, to track down every stain. 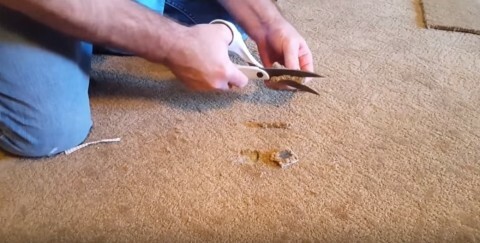 Rest assured, this amazing cleaning process will leave your carpet looking and smelling its absolute best! As you read this article please follow the highlighted links within this post. It is our purpose to be as informative as possible, so you may evaluate what results to expect when scheduling your carpet cleaning and pet odor treatment. Issues that can occur from pet urine contamination after a professional cleaning & treatment will also be covered. Why use a UV Black light? Not all pet urine stains are visible, a UV inspection with a high powered Black light enables our technicians to detect and locate each pet stain, old and new. When a contaminated area is detected it receives additional Prespray along with extra flushing during the extraction process. If a UV inspection is not provided by the company you hire the technician will have no idea where the contamination is located and cannot flush and treat the areas thoroughly enough to remove the odorous bacteria. Why an Organic Tea Tree & Lavender Prespray? With all the products on the market to choose from we have found none as safe & effective as our all natural tea tree and lavender Prespray. This product has proven itself time and again as the most effective product ever for neutralizing urine bacteria and preparing the contaminant for extraction. 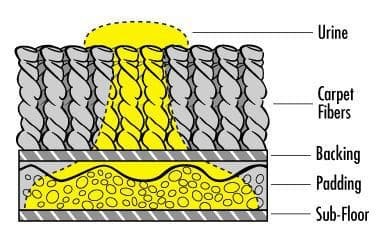 It is both anti-bacterial & anti-viral by nature and when applied as a Prespray to your carpet it immediately gets to work breaking down the molecular structure of the urine bacteria enabling it to be flushed out of the carpet with ease. Along with its odor & germ removing capabilities, it is nice to know it is safe, natural and leaves the carpet smelling clean & fresh. 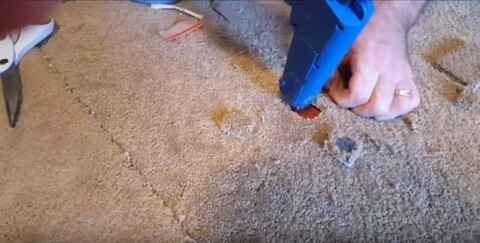 Why Prep the Carpet with a Floor Machine? 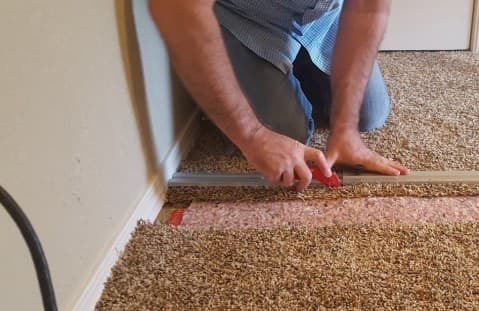 When a stain or contaminant is deep down in the carpet fiber it is necessary to loosen the stain and get the sanitizer to the source of the odor with some type of agitation or grooming. The hand held groomer used by most companies can be effective but the results do not compare with those achieved by using a floor machine with an Adjust- a- Glide brush. 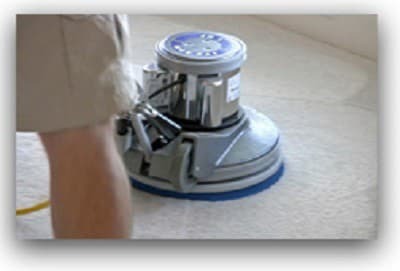 This type of brush has very soft bristles made especially for carpet and a floater disk on the bottom which allows it to work the stains loose and the product into the carpet in a gentle yet very effective way. Taking the extra time and effort to provide this type of service allows us to achieve results that are unmatched by other companies that skip this step. Why Deep Steam & Extra Flush? 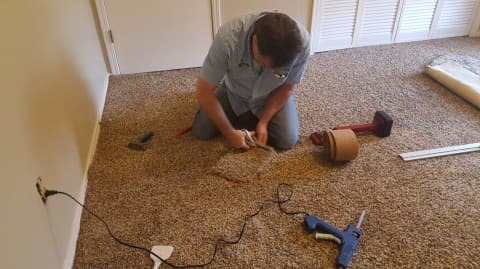 There is no more effective way to remove and extract pet urine bacteria from carpet than with a truck mounted hot water extraction systems. Our units heat the clean rinse solution to a hot 180 – 200 degrees. 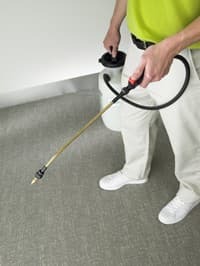 The Evolution extraction wand we use is specially designed to flush the carpet at a pressure of 500 psi leaving your carpet clean & bacteria free. Why Apply a Post Spray? The nature of pet urine is to soak its way down into the carpet backing. 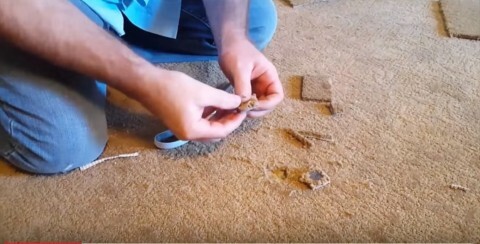 It becomes trapped on the underside of the carpet and then penetrates into the carpet cushion below. 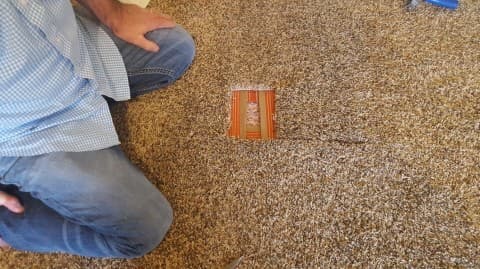 Over a period of time the staining on the back side of the carpet can "wick" its way back through the carpet fiber and resurface causing a reoccuring stain or odor to return. 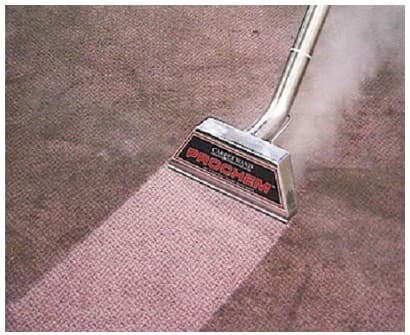 After your carpet has been thoroughly cleaned a post spray is applied to each stain found during the UV Inspection. 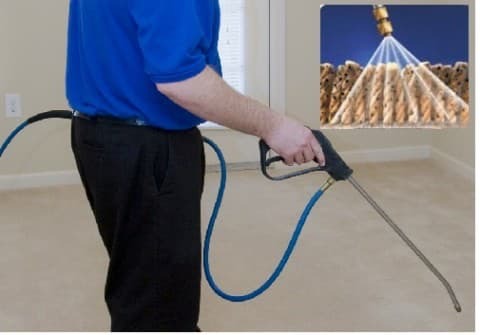 This way if the pet urine begins to seep its way back to the surface the post spray will activate and continue to break down the bacteria germs and odor. Now that we have discussed the cleaning process lets go over some of the issues that can arise after a professional cleaning. If an odor does persist after a cleaning or a brown stain resurfaces, this means the staining on the backside of the carpet is working its way back up, this process is known as wicking. Here are a few options to take care of this problem if it occurs. Purchase a carpet fresh product at your local Walmart store; sprinkle this product on the carpet followed by vacuuming. This will remove the odor that has wicked back through and most times will take care of the problem for you. For more severe odor situations another option would be a water claw spot treatment or a pet damage restoration service. Follow these two links to gain a further understanding on these two processes. 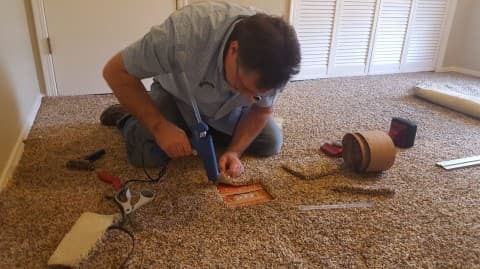 At Carpet Renovations, Inc. we offer both of these services for more severe pet contamination problems, you may call our office to schedule an appointment so we may analyze your situations further and discuss which method would work best for you. If you have light colored carpet and brown staining reappears; please follow our heat transfer instructions on your FAQ sheet you will receive at the time of your cleaning. You may also follow this link how to remove a stain that reappeares or call into our office to schedule an appointment for us to perform our heat transfer process for you. If you have scheduled an appointment with our company and have any questions in regards to the information in this article please feel free to give us a call @ (918) 437-1956 or ask your cleaning technician at time of arrival, we will be happy to answer them for you. Also, please comment below if this article has been of help to you in any way or if you have any further question, we look forward to hearing from you.